I am so ready for spring guys! To kick of the month of March I picked out a perfect cold day outfit! A perfect balance for Spring yet the cold weather. 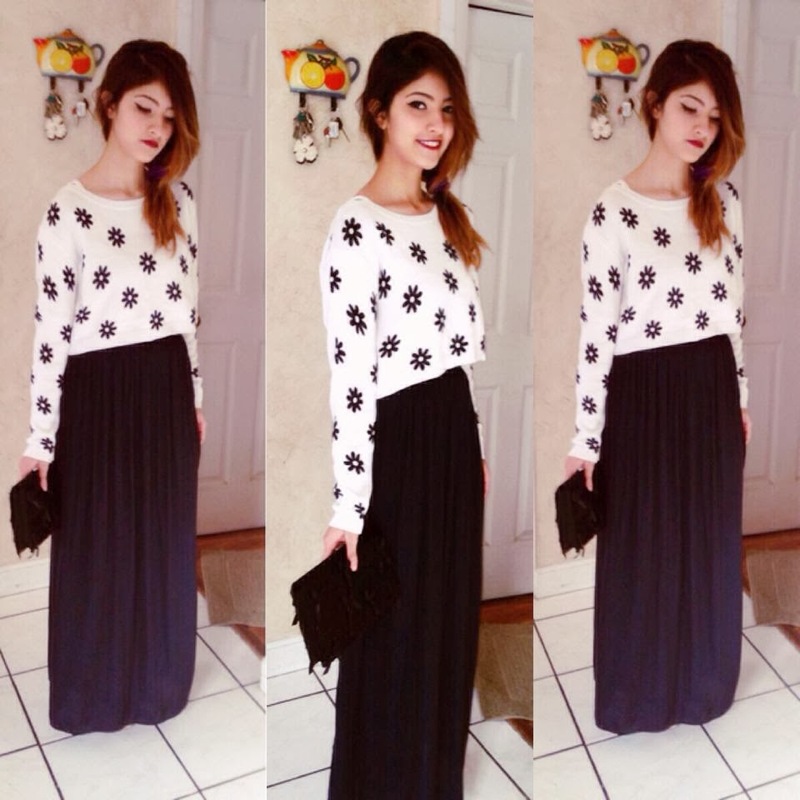 I picked out a white crop sweater its perfect for a cold day weather with a blue maxi skirt from Zara. 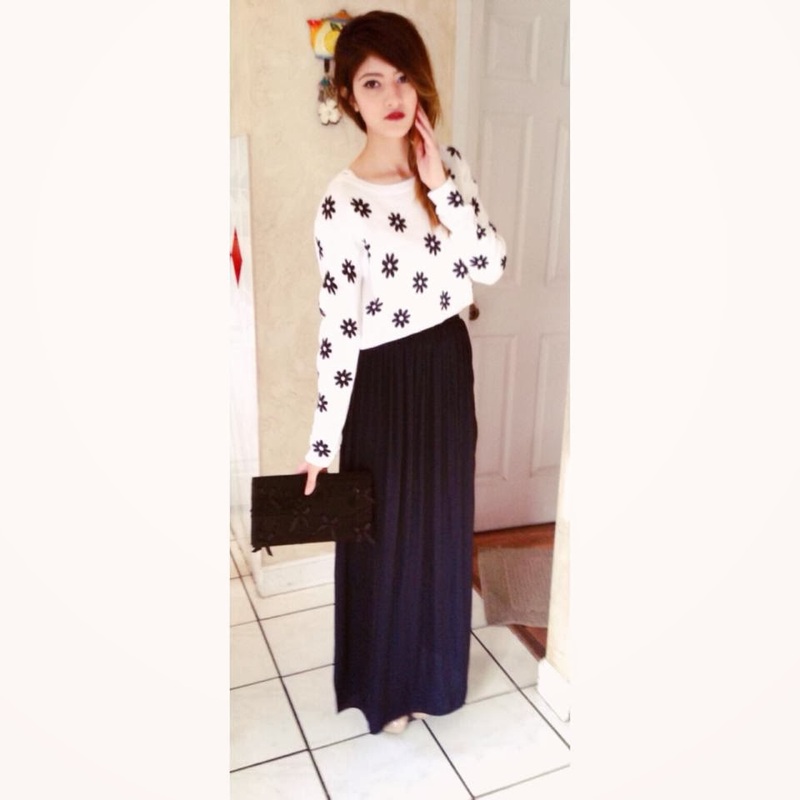 This skirt is perfect for spring look and the sweater is great for a cold day. To add more statement to it I throw in a black clutch perfect for a date night!